not quite surecwhat to make of this naration of andvworld viewcof an indian small town boy in new york. i guess the impact of displacement from language and culture makes for much compromise of character and loss of vision. ive seen similar stories end badly. i think the takeaway is that emigration is not for sissies. this is the best yet and possibly the only conclusion that could have been reached. jefferson's performance as a narrator and his consistency across the series is a work of art in itself. 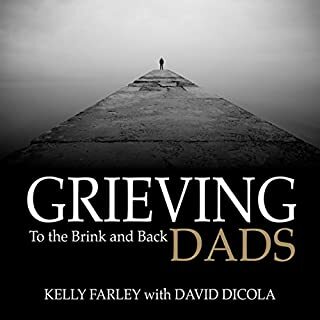 Grieving Dads: To the Brink and Back is a collection of candid stories from grieving dads that were interviewed over a two-year period. 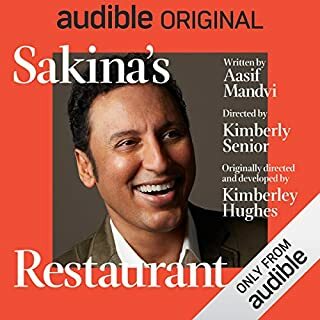 The audiobook offers insight from fellow members of, in the haunting words of one dad, "this terrible, terrible club," which consists of men who have experienced the death of a child. They are real stories that pull no punches and are told with brutal honesty. Men that have shared their deepest and darkest moments. Some of these men have found their way back from the brink, while others are still standing there, stuck in their pain. allanson has done a great job here in continuing the series. while the story does offer limited character growth, it is entertaining and ooffers enough suspension of disbelief for commuter listening. as usual the naration performance is top notch and charcater accents for US seem genuine, howver eastern hemisphere accents like French, Indian and Cantonese could be sharper. but these are of little matter as the plot crawls along at light speed across the galaxy through custom wormholes that the all amazing Skippy AI pulls off enough rabbits from the vaudville top hats and literal Deus exMachina's tech to keep our heroes for the next mission. again the original is improved in this middle book of the 3part series. the narrative is engrossing giving tons of insight into the bobiverse and the issues that befall man machine interfaces as we continue to question about the meaning and definition of "being human". 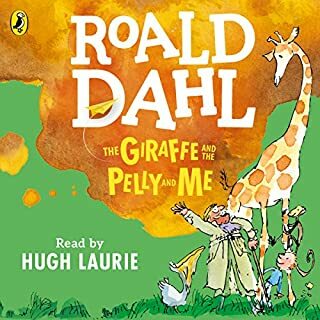 grwat performance by narrator to a classic Dahl. as a kick on from Firefly it oudoes the predecessor. as Black ocean series its a monumental work of author's skill and the brilliance from the Narrator. 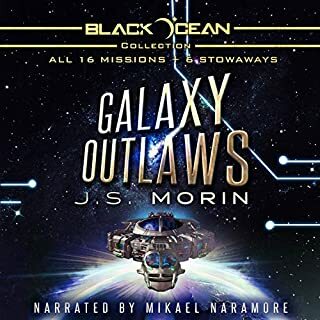 fully worth the time to escape to the Mobius and the galaxy that has tech and magic strangling each other while the bumbling crew make ends meet in semi clandestine ops. if you have become a fan of thevseries this is a must read. 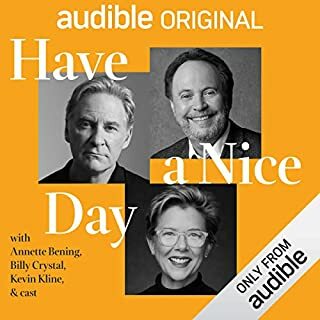 if not, get it just for the joy of listeing to jefferson mays' narration. as the next in the expanse saga this ticks all the blocks of chracters development, plot and society exposed to new tech (epstein fusion drives and alien protomolecule). for the real science of scifi this falls short only the forerunners have done such a great job of illustration. In this book, the authors explore the full extent of the political ramifications and it's ultimate conclusions of the rise of empires. 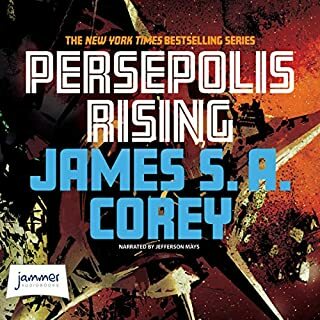 as a collective the expanse series is not crowned by perseplis but rather well supported and able to stand alone. 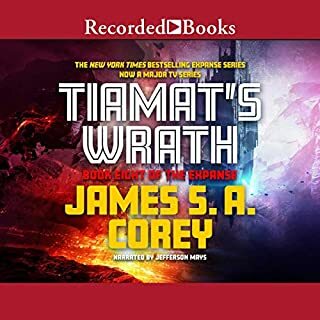 its a great scifi romp with all the ingredients like marine fist fights, space battles, combat stratergy, romance, desire for power and much more. 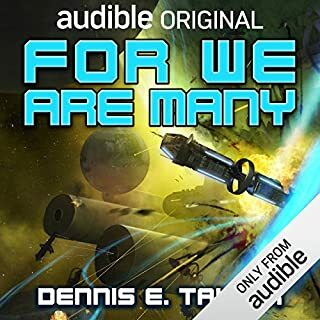 this is what scifi is meant for: to tell better stories expose the human condition and offer a glimmer of hope that perhaps we can achieve a future. both science and tech are lights that expose where we stand as a civilisation and as what as a collective our choices could be. 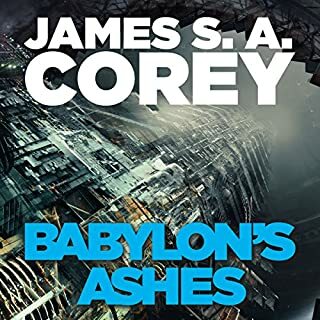 while this book follows closely in the footpath of the series it is perfect as a sequel to nemsis games but outshines it as a thought provoking examination of our understanding the terror of freedom. 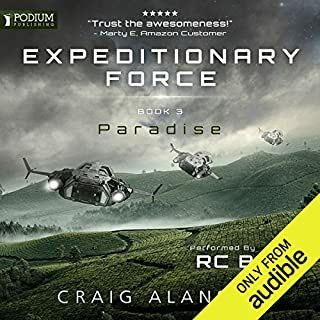 if you are looking for gripping stuff then read book 1 and 2 for pure joy of scifi by authors who have come to know their characters and understand the full impact of the tech books 3 and 4. this book, 6th is the jewel of the series but cannot be separated from 5. so perhaps 5 and 6 are a super book. the great thing here is the consistency of Jonathan Mays as the narrator. his performance and the production again set the high water mark.